The true story of an audacious undertaking by a startup company—an underfunded handful of entrepreneurs setting out to conquer a disease that's plagued humankind for millennia. Finding a cure for the #2 killer of children around the world in a short time. Underfunded and underprepared, they followed a dream fueled by compassion and commerce. A disease that attacks children around the world, killing more than AIDS, malaria and measles combined. Not just a business, but a true passion for the mission. By recounting the true story of PanTheryx, we can inspire young (and not so young) entrepreneurs to consider building companies that “do well by doing good.” Each of us has the capacity to use business to improve lives within our communities and across the planet. Street market in New Delhi, India. Picture by Bimla Starzl. Tim Starzl, second from left, and Bimla Starzl, third from right, meeting with early management team in Haridwar, India. Bimla Starzl with children in Haridwar in northern India. Streetscene near Meerrut in northern India. Picture by Bimla Starzl. 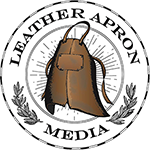 Meeting of the Leather Apron Club. Back row: l. to r.. Tom Washing, Gary Rosenbach, Steve Spessard, Mark Braman. Front row l. to r. George Stagnitti, Scott Hyman, Linda Pancratz, Merv Lapin. PanTheryx Management. l. to r. Scott Hyman, George Stagnitti and Mark Braman. CEO Mark Braman and Alok Sonig, Senior Vice President of Dr. Reddy's Laboratories Ltd., sign sales and marketing agreement for India. Scott Hyman (l) and Dr. Mark Grabowski at DiaResQ launch in Indonesia. Tim and Ravi Starzl at the Dr. Thomas Starzl Biomedical Science Tower at the University of Pittsburgh. Mark Braman speaking at the Microbiome Human Nutrition conference in Boston. November 2017. PanTheryx team loading containers of DiaResQ for shipment by Project CURE to Guatemala. Net proceeds from the sale of this book will be contributed to the PanTheryx Equity of Access Initiative which his dedicated to reducing the burden of pediatric infectious diarrhea on the poorest and hardest to reach children and their families in underdeveloped countries. The program provides, free of charge, diarrhea prevention and treatment education, access to ORS and DiaResQ and other medical supplies required by underserved rural and low-income populations who are most susceptible to diarrheal disease. On a visit to India in 2008, Tim and Bimla Starzl asked a pediatrician friend “what is the most difficult challenge you face;” the doctor responded, “acute infections diarrhea,” a disease that is the second leading killer of children under five worldwide. This fascinating tale follows a small team of entrepreneurs who invent a food based solution to one of the world’s monumental health issues and build a worldwide company to make it a reality. Spellbinding and inspiring. You can’t help but be truly inspired by the pure spirit of entrepreneurship in Washing’s accounting of a business founded on the belief it should be a force of good to promote public health to eradicate infectious diarrhea. This book has totally changed my life. It shines a light on a little discussed truth: That there are a lot of people out there who want to build great companies while making the world a better place for all of us. In my thirty years as a venture capitalist working with early stage companies, PanTheryx was the most audacious undertaking by a startup company I had ever encountered—an underfunded handful of entrepreneurs setting out to conquer a disease that had plagued humankind unchecked for millennia. I was impelled to write the story by my passion for the mission and my sense of its potential historic importance. TOM WASHING has been active in the venture capi­tal industry for over thirty years. He is a founding partner of Sequel Venture Partners, a Colorado-based venture capital firm investing in emerging growth technology companies. He has served on dozens of corporate and non­profit boards of directors, including as founding Chairman of the University of Colorado Center for Entrepreneurship, President and Chairman of the Colorado Venture Capital Association, and Chair­man of the Board of the University of Michigan Technology Transfer Advisory Board. Washing was named Master Entrepreneur of the Year by the Colorado Ernst & Young Entrepreneur of the Year Awards Committee.Washing is the co-author of the award-winning book Passion for Skiing (2010), and was the assistant film producer of Passion for Snow (2013), the Emmy Award–nominated documentary film based on the book. “I hope to inspire entrepreneurs to consider building companies that ‘do well by doing good.’ Each of us has the capacity to use business to improve lives within our communities and across the planet. Be among the first to read An Unlikely Intervention!